My first ever review, yay! 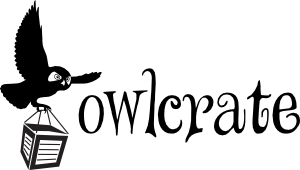 For my first review I’ll be reviewing the September Owlcrate Box. The theme for the month of September was darkness. They’re a monthly book subscription box that sends out a new YA Novel, as well as three to five other bookish related items.Sometimes (like the book I received) they even send out books before their publication date, as well as signed book plates and or a letter from the author. They have also started doing photo challenges for the boxes, where you can even win a free box. Day one’s photo challenge for the September Darkness Box was to post the unboxing. I would give the items a seven out of ten, only because I thought that there could have been more contents in the box. I feel like more items would have elevated it a touch more. All in all, I would give it eight out of ten stars. Not only did it come on time, and with the contents in good shape- but, when I had any questions they were more than happy to help. I would most definitely buy again, in fact I really want to purchase the October one as well!